The Thracians were a group of Indo-European tribes inhabiting a large area in Central and Southeastern Europe. They were bordered by the Scythians to the north, the Celts and the Illyrians to the west, the Ancient Greeks to the south and the Black Sea to the east. It is generally proposed that a proto-Thracian people developed from a mixture of indigenous peoples and Indo-Europeans from the time of the Early Bronze Age. By the 5th century BC, the Thracian presence was pervasive enough that Herodotus called them the second-most numerous people in the part of the world known by him (after the Indians), and potentially the most powerful, if not for their lack of unity. The Thracians in classical times were broken up into a large number of groups and tribes, though a number of powerful Thracian states were organized, such as the Odrysian kingdom of Thrace and the Dacian kingdom of Burebista. The Southern part of Thrace was conquered by Philip II of Macedon in the 4th century BC and was ruled by the kingdom of Macedon for a century and a half. During the Macedonian Wars, conflict between Rome and Thracia was inevitable. The destruction of the ruling parties in Macedonia destabilized their authority over Thrace, and its tribal authorities began to act once more on their own accord. After the Battle of Pydna in 168 BC, Roman authority over Macedonia seemed inevitable, and the governing of Thracia passed to Rome. Neither the Thracians nor the Macedonians had yet resolved themselves to Roman dominion, and several revolts took place during this period of transition. During the 3rd century AD, with the invasions of migratory populations (Goths, Huns, Slavs) the Roman Empire was forced to pull out of Thrace. In the Middle Ages, Romanians lived in three distinct principalities: Wallachia, Moldavia and Transylvania. By the 11th century, Transylvania had become a largely autonomous part of the Kingdom of Hungary. In Wallachia and Moldavia, many small local states with varying degrees of independence developed. Only in the 14th century did the larger principalities of Wallachia (1310) and Moldavia (around 1352) emerge to fight the threat of the Ottoman Empire. By 1541, the entire Balkan peninsula and most of Hungary had become Ottoman provinces. In 1699, Transylvania became a territory of the Habsburgs' Austrian empire following the Austrian victory over the Turks in the Great Turkish War. The Habsburgs in turn expanded their empire in 1718 to include an important part of Wallachia and in 1775 to include the northwestern part of Moldavia. 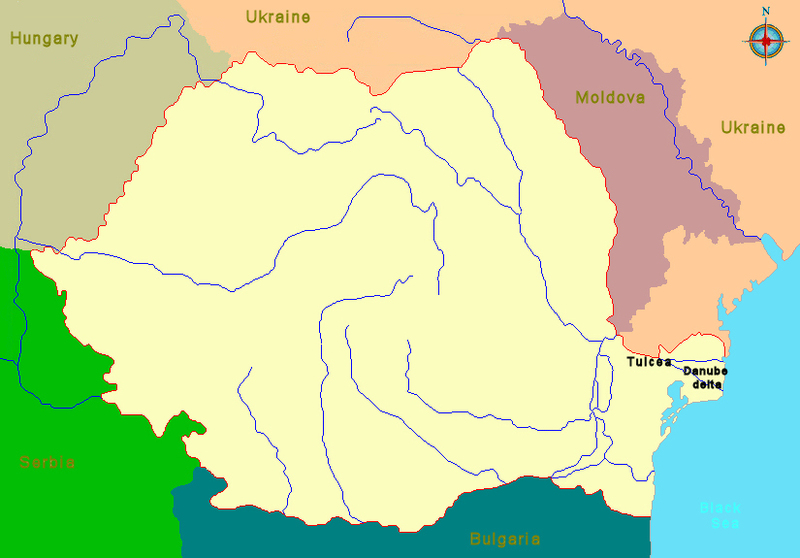 The eastern half of the Moldavian principality was occupied in 1812 by Russia. After the failed 1848 Revolution, the Great Powers did not support the Romanians' expressed desire to officially unite in a one single state, which forced them to proceed alone with their struggle against the Ottomans. The electors in both Moldavia and Wallachia chose in 1859 the same leader – Alexandru Ioan Cuza – to be their Ruling Prince. Thus, Romania was created as a personal union, albeit without including Transylvania. There, the upper class and the aristocracy chose to remain under Hungarian rule, even though the Romanians were by far the most numerous ethnic Transylvanian group and constituted the absolute majority. In August 1915, about a year after the start of World War I, Romania tried to maintain neutrality. One year later, under significant pressure from the Allies, on 27 August 1916 Romania joined the Allies, declaring war on Austria-Hungary. For this action, under the terms of the secret military convention, Romania was promised support for its goal of national unity of all the territories populated with Romanians. By the war's end, both Austro-Hungarian and Russian Empires had collapsed and disintegrated; Transylvania proclaimed their unification with the Kingdom of Romania in 1918. As World War II ended, Romania, a former Axis member, was occupied by the Soviet Union, the sole representative of the Allied powers. On 6 March 1945, a new pro-Soviet government that included members of the previously outlawed Romanian Communist Party was installed. In the 1960s and 1970s, Nicolae Ceausescu became head of the Communist Party (1965), head of state (1967) and assumed the newly established role of President in 1974. Ceausescu's denunciation of the 1968 Soviet invasion of Czechoslovakia and a brief relaxation in internal repression helped give him a positive image both at home and in the West. However, rapid economic growth fueled by foreign credits gradually gave way to an austerity and political repression that led to the fall of his totalitarian government in December 1989. After the revolution, the (NSF), led by Ion Iliescu, took partial multi-party democratic and free market measures. The subsequent disintegration of the Front produced several political parties including the Social Democratic Party, the Democratic Party and the Alliance for Romania. The former governed Romania from 1990 until 1996 through several coalitions and governments with Ion Iliescu as head of state. 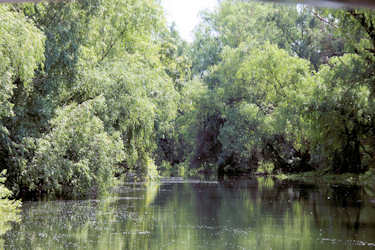 Since then there have been several democratic changes of government: in 1996 the Democrat-Liberals' opposition and its leader Emil Constantinescu acceded to power; in 2000 the Social-Democrats returned to power, with Iliescu once again as president; and, finally, in 2004 Traian Basescu was elected president, with an electoral coalition called Justice and Truth Alliance. Basescu was narrowly re-elected in 2009. I will visit Romania in may 2014. See my Things to do pages for more pictures.